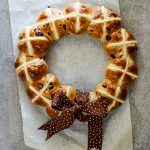 A delicious hot cross bun wreath for Easter with cranberries and white chocolate is the ultimate centerpiece for your Easter table. Hot cross buns are absolutely synonymous with Easter to me. 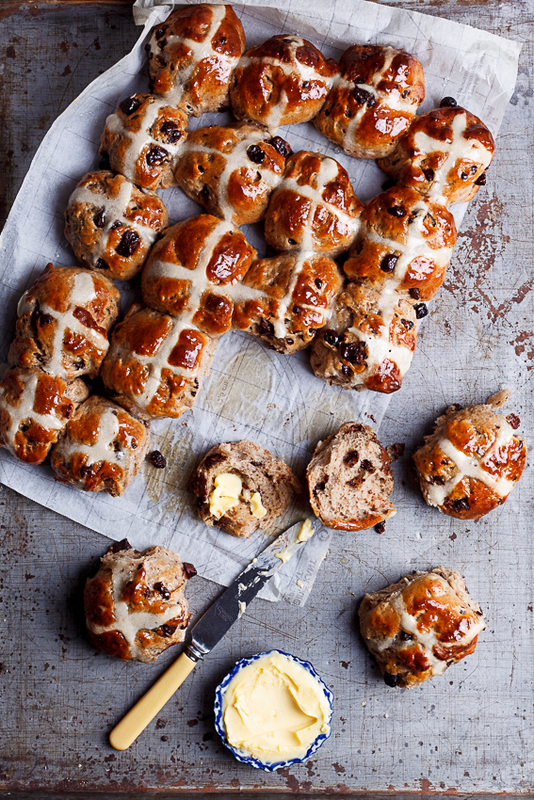 It just won’t be Easter if there isn’t an excess of spiced, squishy hot cross buns eaten with ALL of the butter. I bake a few batches every year and this year decided to flavor the buns with chunks of creamy white chocolate and tart dried cranberries. 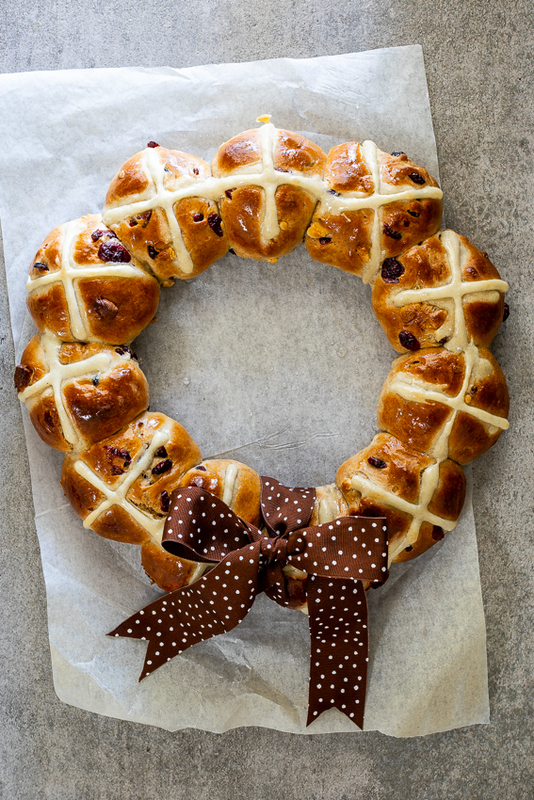 And I decided that a hot cross bun wreath would be the perfect centerpiece to my Easter table this year. How pretty? Depending on the size of the wreath you want (this will also be dictated by the size of pan/baking vessel you have), this recipe might make more buns than you can fit in the wreath. 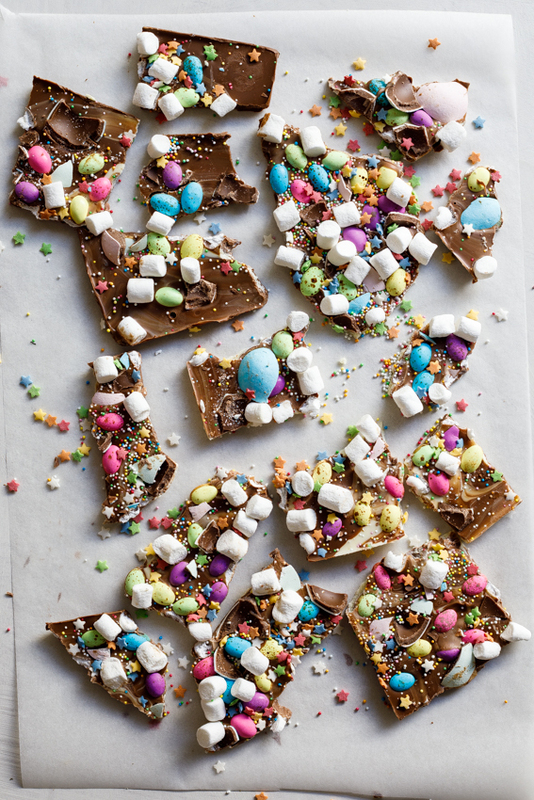 However, you can bake the rest of the dough in a baking sheet or make more than one wreath. This dough also freezes really well. Simply defrost the dough and allow to rise for 30 minutes before baking as directed. Combine flour, yeast, sugar and spices then mix in milk, eggs, melted butter and sugar and knead until a smooth dough forms. 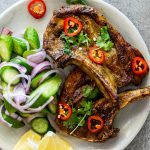 Place in a bowl and cover and allow to rise for 1 hour. When the dough has proofed, knead in the dried cranberries and whitechocolate chunks then allow to rise for another 30 minutes. Form the dough into buns just smaller than tennis balls (they will rise more in the oven) and place on a baking sheet lined with parchment paper. If you are making a wreath, you would place the buns in circle. (I used a pizza stone to bake my wreath.) Mix together flour and water and pipe crosses on the top of the buns. Bake until golden brown and cooked through then brush with simple syrup for shine. 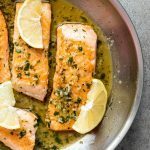 Serve warm with butter. 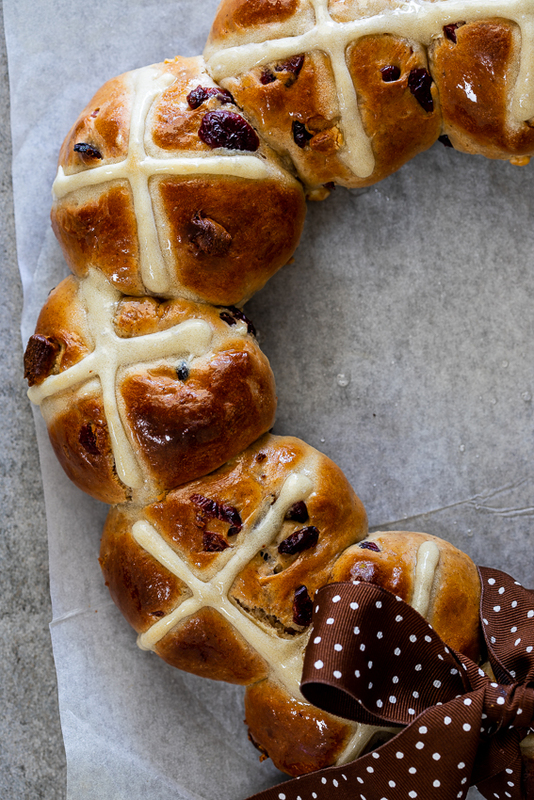 There is no one explanation why hot cross buns are eaten at Easter but as far as I know they are traditionally eaten on Good Friday. They mark the end of Lent for some as they contain dairy which is not allowed during this period. The cross on top signifies the crucifixion of Jesus and it has been said that the spices in the buns represent for the spices used to embalm him. Water and flour. 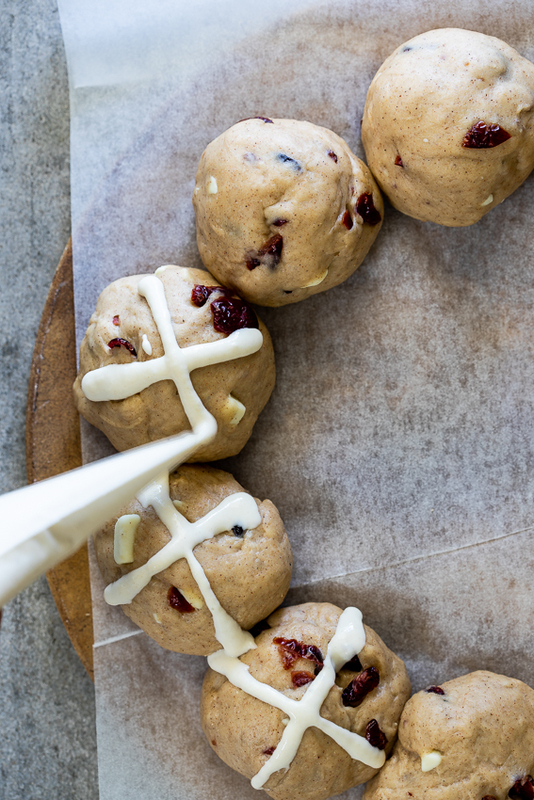 Some hot cross bun recipes call for the buns to be iced with a icing/powdered sugar icing cross but I think they are best baked with a simple flour and water cross piped onto each bun. Form dough balls roughly the size of golf balls out of the risen dough and place on the prepared baking tray in a large circle. Allow to bake for 25-30 minutes until the hot cross buns are golden brown and cooked through. I’m so glad to hear that Sharon. Happy Easter! OMG! These look fabulous Alida. I LOVE hot cross buns. Great idea to add the chocolate and make them into a wreath. LOVE it!